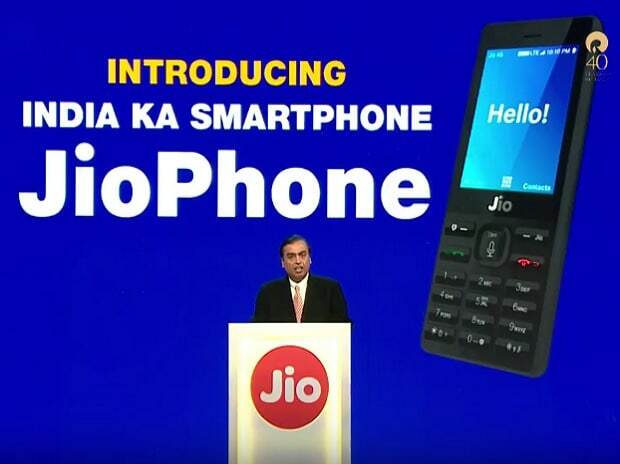 The park will have a mobile phone manufacturing plant that can produce 10 million Jio Phones per year besides other electronic product facilities, including that of television sets, batteries, set-top boxes among other things, the state government announced after a high level meeting between Reliance Group chairman Mukesh Ambani and chief minister N Chandrababu Naidu on Tuesday. The government did not disclose the investments entailing these and other facilities proposed to be set by the company. According to the government, Reliance Group will aim to create an end-to-end ecosystem in the electronics sector, right from chip design to product development and also provide training to students in electronics manufacturing at the proposed electronics park. Reliance will also set up citizen service centres (CSCs) across 5,000 villages in the state and these centers will make the government services available to the public at a most affordable cost, the government said. The company will also establish a digital infrastructure, telecom and start-up ecosystem development center in 50 acres at Amaravati, a 150 mw solar power plant in Peddapuram. Reliance Group chairman has flown to Vijayawada on Tuesday evening and met with chief minister N Chandrababu Naidu to discuss the company’s investment plans among other things. During his visit, Ambani also visited the Real Time Governance (RTG) center, which was established by Naidu government in Amaravati secretariat complex.